Edwin Sakala has offered former Foreign Affairs Minister Harry Kalaba to be the presidential candidate for his party – ZDDM in 2021. Sakala who is supporter of President Lungu now says Kalaba is the best candidate to save Zambia. He says it will be disastrous for the country to entrust the leadership of the country to any other person than Kalaba. In the August edition we wish to explain the reasoning behind our decision to offer an invitation to Patriotic Front Member of Parliament for Bahati constituency, Harry Kalaba to be ZDDM Presidential candidate in the next general election. We know that this offer shocked many Zambians who associate ZDDM with the ruling Patriotic Front and President Edgar Chagwa Lungu in particular. The truth is that as one of the oldest political parties in Zambia which has been like salt in Zambian politics and happily playing the role of bulldozers in dust being scotched by the sun for mother Zambia from the late 80s. We find our joy in that God has given us a rare chance of working closely and at a personal level with nearly all the past and current political party leaders that we can speak from a point of full understanding. 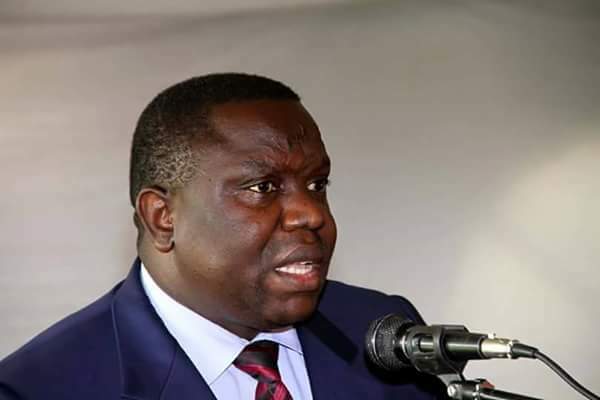 We must say that as ZDDM we have scanned very carefully the Zambian political scene and identified Honorable Kalaba as the only credible individual who can safely take Zambia forward after President Lungu. Zambia will be committing suicide if it chose anybody else. Our party has remained supportive of President Lungu and there is absolutely no reason why we can stop doing this and our bringing into limelight the name of Honorable Kalaba at this critical moment in Zambian politics is deliberate because we know that he is the only leader who understand the true enemy Zambia is dealing with. Some of the so called powerful opposition leader are a serious danger to the future of Zambia because they are agents of division and hate. The future of Zambia will continue to be in danger for as long as the Zambian people don’t understand that their true enemy is not what they think but a highly intelligent force behind the scene whose ultimate goal is to depopulate Zambia and take total control of the natural wealth including mines and land. As it was in the time of slavery when this force used some selfish Africans to capture and sell their own kith and kin like goats this time around the force is using some political parties, NGOs and Media houses to scatter and kill us like bee collectors use fire and smoke to confuse the bees while they collect our honey. They are very happy to see the once united Zambians working against each other and destroying their own country. ZDDM is sure that they have a good laugh at the insults Zambians use against each other on the social media as it really confirms and proves right what Dr Kaunda said in his moment of anger when he said “Zambians are stupid Idiots” because any civilized person cannot sink to the level found there. Zambians can’t continue dancing to the current self destruction culture being promoted and encouraged by foreign sponsored organizations. As a party, ZDDM has a very rich understanding of the problems and great threat facing African countries after serving on continental and Diaspora committees for more than 12 years. We acknowledge the fact that the peace that Zambia is enjoying is by the grace and mercy of God and we believe that time has come for Zambians to realize that most of these foreign sponsored organizations daily demonizing and undermining government don’t mean well for Zambia and its people because there is nothing good which can come out of hate. Zambians must continue to thank God for giving them leaders like President Lungu who have withstood the foreign sponsored destructive schemes aimed at undermining and frustrating his efforts to develop Zambia. These schemers are at work in every African country with a progressive and nationalist leadership. They seek regime change which will see their puppets in national leadership for obvious reasons. This force is cruel and evil that it will kill anybody who stands in its way. Zambians who follow African politics know what happened to many leaders on the continent including Muammer Qudaffi, Kwame Nkuruma and some Zambian politicians who could have been alive today if they did not pursue a nationalist path. Zambians must wake up and know that the future of Zambia and indeed Africa will continue to be in danger for as long as the citizens fail to realize that their greatest enemy is not their own brothers and governments but the local mercenaries planting seeds of hate and division. 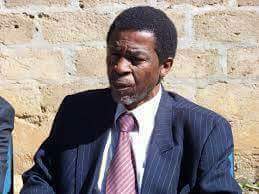 Our party is concern by the fact that many Zambians don’t even know that the widespread poverty in Zambia , alarming death rate, high unemployment levels are by design and that the social, economic and political evils oppressing the Zambian people are being worsened by the absence of credible opposition parties in the country to offer proper and the much needed constructive opposition to the PF government. The opposition parties are supposed to engage government on policy matters and to offer alternative policies but the absence of a proper and constructive opposition in Zambia has even made it difficult for the government to listern to alternative policies because all they hear are abusive language hence our decision to invite Honorable Kalaba because he understands the serious threats facing Zambia and sober enough to logically engage the PF. We believe that even President Lungu will appreciate and value the vacuum we shall fill because we will not waste time on irrelevant issues but engage him in a mature and decent manner to advance the interest of the people and to protect our land. In national interest we want Honorable Kalaba to help us save Zambia from the current foreign sponsored siege of Zambian politics by bringing in a “Strong Wind of change” which will blow away the mercenaries masquerading as opposition parties, NGOs and media houses and help us to bring in an era of nationalistic and level headed politics which can engage President Lungu in a constructive and proper manner. We acknowledge the fact that our government like any other government in the world is not made up of “Angels” but human beings with no monopoly of wisdom. They may have technocrats who advise them on policy matter but even these technocrats are humans whose decisions can be questioned hence the urgent need for Zambia to have a credible and issue driven opposition. It is only with a leader like Honorable Kalaba with a clear understanding of new schemes being used by the enemies of Africa that Zambia is assured of a proper alternative government which can safe guard the future and interest of our country. The current crop of opposition parties in Zambia has failed to play their role and to provide hope to the Zambians people who are wasting time and energy on watching politicians bickering instead of providing constructive checks and balances to the PF government and saving the people from the true enemy of Zambians. Honorable Kalaba stands out as the only person with a clear understanding of the problems facing Zambia and who can offer an alternative national leadership. The truth is that he will be the next President after President Lungu. Let doubting Thomas believe this as it will come to pass. Zambia could have been a more prosperous country if it people were united but unfortunately the opposition is promoting division.